Neale backed up his 2016 Doig Medal win with a runner-up finish in 2017, continuing to perform as one of the league’s most exciting young midfielders. A groin injury slowed Neale late in the 2017 season but he has since recovered and the 24-year-old competed at his usual best in the club’s intra-club match. Completed a rehab program pre-Christmas. He’s come back into it looking fit and lean, exploding and powerful away from stoppage clearances. Looking for a big year from Lachie. Continued to grow as one of the most exciting young midfielders in the league, leading Fremantle for disposals and clearances in 2017. 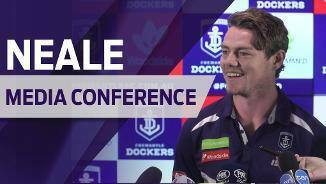 The 24-year-old backed up his Doig Medal-winning season with a runner-up finish in 2017 and reached the 100-game milestone in Freo’s thrilling win over Richmond in round eight. A clear standout in one of the most memorable individual season performances in Fremantle history. His 737-disposal season is the highest recorded total since Champion Data started recording the stat in 1999. 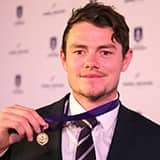 The 23-year-old broke the 40-disposal barrier on five occasions on his way to winning the Doig Medal as Freo’s best and fairest. 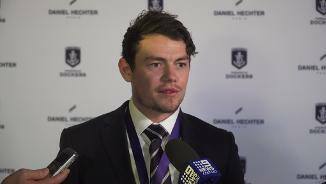 Neale continued to grow as a player in 2015 and is now among Freo’s top midfielders. Selection in the 40-man All Australian squad and 22under22 team was testament to his continued rise. It was a breakout year for the small midfielder. 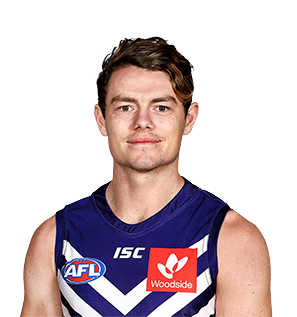 He won the Ross Glendinning Medal in round seven and was close to Freo’s best player in the Semi-Final against Port Adelaide. He has a bright future. The South Australian youngster debuted under the spotlight of the Friday night lights at Etihad in round 4 against St Kilda. He came on as the sub in the third term and made his presence felt with a number of contested possessions, often in packs. Neale ended up playing 11 games and kicking four goals, one of which was nominated for AFL Goal of the Year in round 8 against Hawthorn. A solid first season from Neale and expect to see him push for more games in 2013.